A Bed and Breakfast (BnB) experience can refresh your soul, provide a mini-vacation or enhance a special celebration. The industry has grown even more popular as web-based tools bring myriad possibilities to your fingertips to peruse and choose some place just right for you. 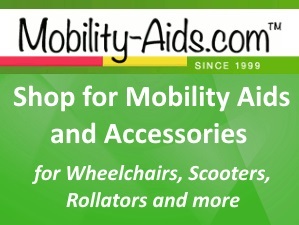 But how can you be sure the BnB will support your specific mobility needs? Typically a BnB is an older home, renovated and remodeled to host guests. But narrow entryways, hallways, and smaller bedrooms can be a hinderance – and even preclude mobility challenged guests from access and enjoyment. 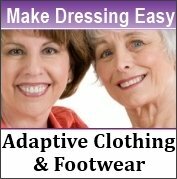 BnBs advertising accessibility should have features that will fully accommodate you. To find a wheelchair accessible inn that will have the right accommodations suited to your specific needs, contact the BnB innkeeper before you make your reservation and ask about accessibility specifics. Consider the following helpful tips. The Double Eagle Bed and Breakfast is a newly renovated wheelchair accessible inn located in East Greenville, Pennsylvania. Confirm the BnB has ramp access to enter the property. In addition, ask about multiple ramp locations for different entry and exit points around the BnB. This will help you enjoy the complete property versus being confined to just one entry and exit point. Inquire whether doorways in the BnB are at least 36 inches wide for wheelchair and walker accessibility. Hallways should be at least 45 inches wide. Ask about spacing in common areas so you may easily get around. Rooms and floor space should not have furniture or permanent structures keeping you from transiting from one area to another. If you are staying in a multi-story BnB, an elevator is a must. Check to be sure the elevator provides access to all available floors so you are able to enjoy all features of the BnB. If there is no elevator, then ask if the stairway has a chair assisted lift. Inquire about bed height to ensure you can easily and comfortably transfer from your wheelchair to the bed. The top of the mattress should be approximately the same height as the seat of your mobility chair. Bathrooms should have safety railings in the shower/tub area and near toilets. The wash basin should have adequate clearance for wheelchairs. Be sure to ask if there’s a hand-held shower. Safety is always a paramount concern. Confirm that the BnB has at least one fire extinguisher on each floor and smoke/fire alarm systems located throughout the property. Light switches should be located on walls 38 inches from the floor, and door knobs must be easily reachable by someone in a wheelchair. 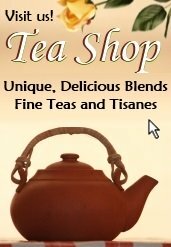 When you contact the innkeeper, also ask about things to do in the area that are easily accessible. Find out what local activities are available that are wheelchair friendly, such as parks, shopping, and entertainment venues. The BnB owners should be able to provide you information to enrich your stay in the area. A call is the best form of contact with the BnB and enables you to have a helpful exchange with the owner or innkeeper. Advertisements and emails most likely don’t provide the details you need regarding specific accommodations. Once you are comfortable that the BnB will accommodate your needs, get ready to explore, enjoy, and have the experience of your dreams. 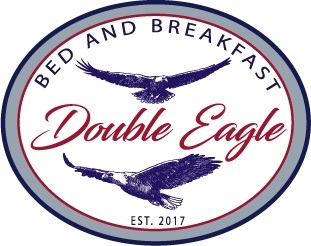 This article was written by Cameron Bowser (Col, ret USAF) who owns and operates the Double Eagle Bed and Breakfast (www.DoubleEagleBnB.com) with his wife, Beverly Plosa-Bowser (Col, ret USAF). The Double Eagle Bed and Breakfast stands out from other BnBs because it originally was a home built for a family with a child who depended on a wheelchair. The Bowsers renovated the BnB with an eye toward retaining and improving all the accessibility features. Their vision is to ensure that everyone can have that special experience staying at a luxurious BnB.